This last week I was in San Diego, CA visiting clients and making new connections in the painting conservation profession and for the first time decided to stay at a downtown Marriott Hotel. 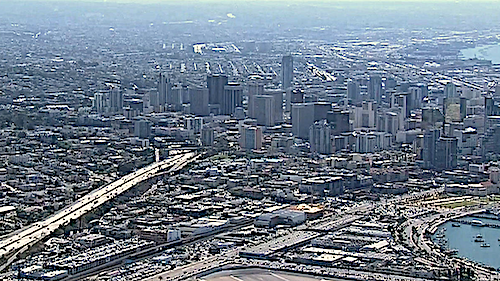 Downtown is quite the urban cement jungle with lots of tall buildings and the noise of dealing with that jungle and airport in close proximity. I remember growing up in LA, we’d go to the SD area beaches often to surf and there were about 1/2 million people. 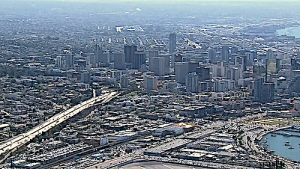 Now there are over 1.5 million in the city and 3.5 million in SD County. That’s a lot of growth to deal with. I think all of SOCal has had that growth to deal with in the respective infrastructures. 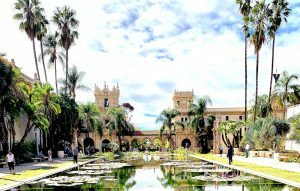 Obviously, a location of business for me is the Balboa Park and its museums, conservation labs and exhibitions. Its not only a pleasure to visit such a community treasure that was put together by community minded benefactors at the turn of the 20th century but its interesting to see the comparison with the architecture we saw in Spain this past year when we went to Salamanca, Madrid, Toledo and surrounding communities. 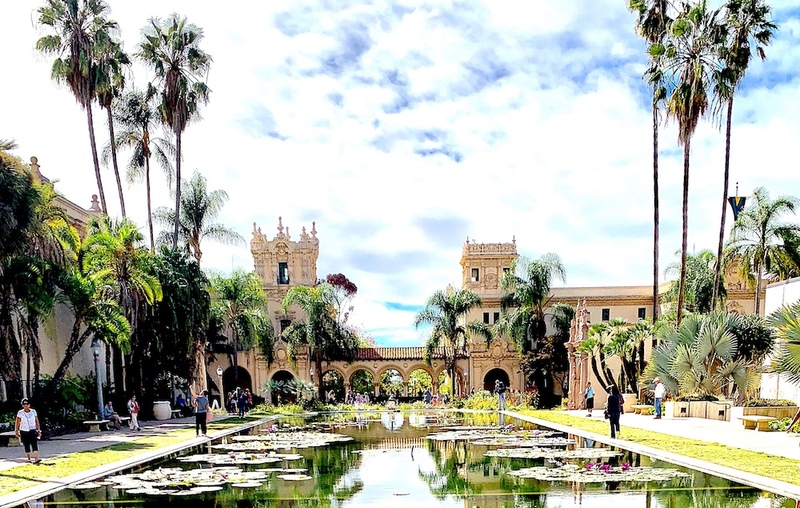 The Spanish style in California is a sub-style of the Arts and Crafts Movement that was so prevalent in the US starting in the 1880s and exploding in CA along with its population. 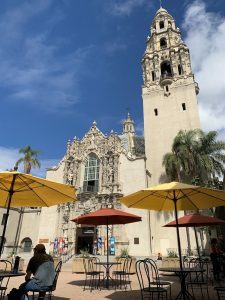 The Spanish Style was promoted at the end of the 1880s as a Mission Revival Style, embraced fully by William Randolph Hurst (Hurst Castle) and Frank Miller (The Mission Inn). The paintings of the missions by Henry Chapman Ford and Edwin Deakin, both considered widely by scholars as a National Treasure in the US, were published extensively to enliven the romantic fantasy of readers. Here is an article on these paintings. Later this month, I will be interviewed by an PBS affiliate doing a special on the Mission Paintings by Henry Chapman Ford. 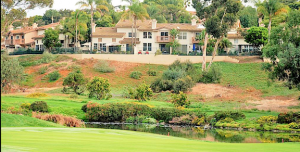 Several of our clients live in the golf course ranches of Carlsbad and I love visiting with them, talking about collecting and working with them to have their art collections of early CA Impressionism be in the best possible condition. Their interest in our state’s early history usually reflects personal experiences of growing up in Southern CA and the paintings are recognized internationally as a quality art movement of great value. A great percentage of art conservation work that we do in or lab is with early CA paintings… for instance, we have worked on over 375 paintings by Edgar Payne over the years. A new visit this time was the Lodge at Torrey Pines. They have a nice little collection of early California Impressionists that I took time to review. 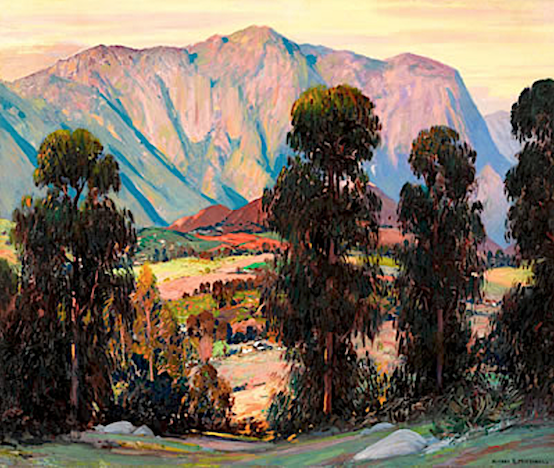 Among the projects to work on that I picked up on this trip is a gorgeous painting of the San Diego area by renown early CA Impressionist Alfred Mitchell. Over the years, our work with the Church of Jesus Christ of Latter-day Saints has included consistent work with the History Department for projects worldwide. In Sept we completed a mural restoration project in Logan Utah in an historic chapel. We also have a project brewing in Los Angeles. 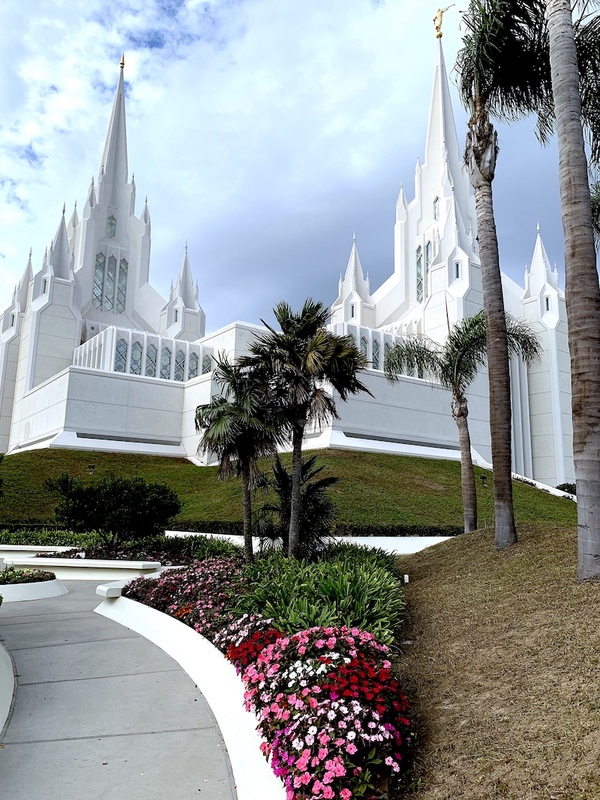 Here is a shot of the temple in San Diego. This entry was posted in Consultations, Professional activities, Travel and tagged San Diego Art Restoration. Bookmark the permalink. Nice to spend time with you on this trip. Thanks for your time. FACL’s work and reputation are without reproach. Good folks to work with. Scott has helped my family with high-end framing consulting along with the painting restoration. His decades of experience have made all the difference for us. Scott came to our house, we had an excellent consultation where all my questions were answered with no obligation or cost. Wow! I inherited some artwork that wasn’t valued very high but it was important to me for the family memories… so, I guess it was valuable in another way. Anyway, I checked around and not only was FACL the only one to call me back but they were very nice to work with, explained the processes clearly and I felt were an extremely good value. In fact I loved working with them. My wife and I love to collect art, but not things that are very expensive. Still, FACL has been so great to learn from and work with. After working with other restoration people in our area, we’re glad to have found Scott. Scott worked through my insurance company and disaster response company to repair art damaged by a water leak in our house. It turned out perfect. No drama, what else can I say? They do painting restoration work that consists 80% of redoing other people’s screwed up jobs. I just gave him a $50k painting this week with problems from the recent past created by other restorers. Scott Haskins and his associate Andrew Jacobs come to our area often. Take advantage of their expertise as they are known far and wide. Great people too.